Re-designed and upgraded to provide total compliance, absolute confidence and value, without compromise! 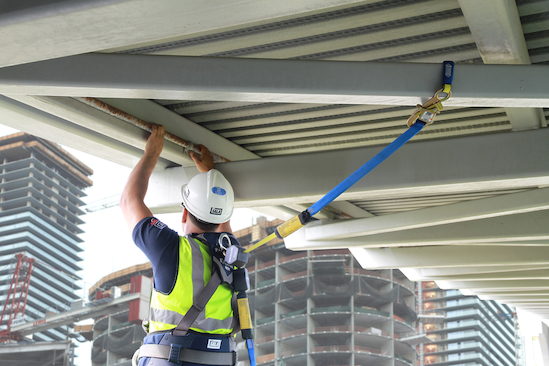 Protecta has re-designed and upgraded their harness range to incorporate key productivity, comfort and safety elements for everyday use by professionals in a broad range of industry applications; from general construction through to tower work. 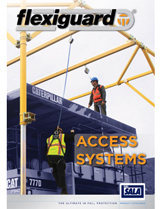 From the world's leading supplier of fall protection for people! Struck-by falling objects is a leading cause of injury for workers and the 4th highest cause of death in the workplace. The DBI-SALA® range of Python Safety® products has been developed to prevent dropped tools and equipment. Fall Protection for Tools make work environments safer and more productive by drastically reducing incidents resulting in personal injury, equipment damage, and tool loss. Unique anchor slides across the rail following you for complete freedom of movement and fall protection. A compact design makes attaching the anchor to the rail simple, fast and safe. Stainless steel construction provides maximum durability and the high visibility labeling helps others see you. Ideal for use on railway or crane rail runway. Ready for the Haul or Climb, When and Where You Need It! A simple to rig mechanical prusik that is strong, convenient and ready for use when required. Designed and certified to meet an array of international standards.